The Emergency Medicine Foundation (EMF) is funding clinician-researchers based in Australia’s far north to lead two new research projects aimed at Closing the Gap for Aboriginal and Torres Strait Islander emergency healthcare issues. The projects are among the latest to receive grants from the Emergency Medicine Foundation (EMF) though its Rural and Remote and Queensland Research programs. This year, EMF’s Rural and Remote grant was awarded to James Cook University Centre for Rural and Remote Health Rural Lecturer and Weipa Integrated Health Service Clinical Nurse, Sally West. Mrs West is investigating the use of nasal high flow therapy to treat babies with bronchiolitis in remote hospitals and health centres in collaboration with clinicians at Cairns Hospital, The Townsville Hospital, the Queensland Children’s Hospital and Retrieval Services Queensland. 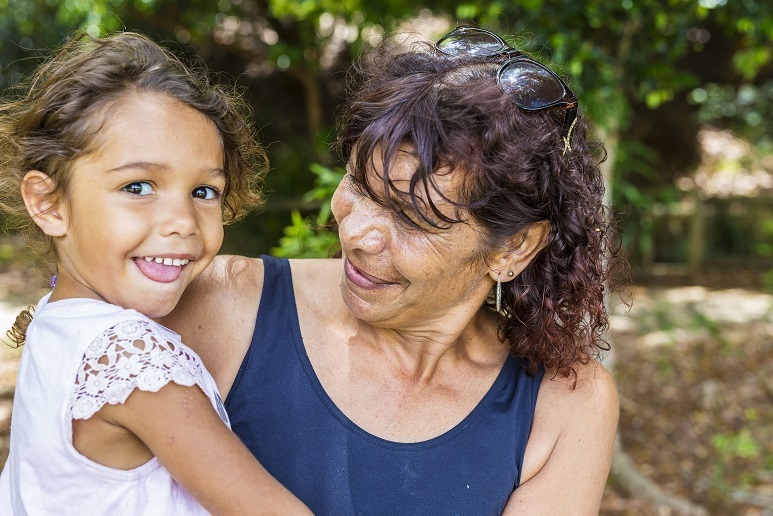 “Bronchiolitis is a very common respiratory illness in babies and remote Indigenous Australians have an even higher incidence rate than non-Indigenous Australians,” said Mrs West. “We know that nasal high flow therapy can be safely and effectively used in tertiary and larger regional emergency departments to improve health outcomes for infants with bronchiolitis and keep them out of intensive care,” she said. Also in the Cape, Thursday Island-based Rural Generalist, Dr Allison Hempenstall was awarded the first-ever EMF JumpStart grant as part of its Queensland Research Program. Dr Hempenstall is leading a study looking at ways to improve the care of skin infections, in particular cellulitis, in the Torres Strait. “ln a tropical environment, such as the Torres Strait, cellulitis is extremely common and contributes to a significant burden on the healthcare system,” said Dr Hempenstall. “We often have to transport patients with cellulitis from across the Torres Strait to Thursday Island Hospital for intravenous antibiotics. This not only takes people away from their homes, but is associated with significant retrieval, emergency and hospital costs. EMF awarded a further four grants as part of its Queensland Research Program. These included a Cairns study investigating the impact of increased numbers of mental health patients in emergency departments; a Gold Coast University Hospital project to improve patient experiences; a Royal Brisbane and Women’s Hospital program to improve the quality of blood cultures; and a Logan Hospital project to reduce the rate of cannulas accidentally coming out of children’s arms. Ms Brooke Charters, who is leading the paediatric cannula project, is the first nurse to receive an EMF Queensland Research Program grant. EMF received 18 Rural and Remote grant expressions of interest, requesting $765,692 in funding; and 21 Queensland Research Program applications requesting $1.5 million. In total, EMF had $400,000 available for grants. EMF General Manager, Beth Chapman said EMF was delighted by the volume of high-quality applications for both research programs. “EMF will continue to pursue opportunities to increase the level of funding we have available for grants so that we can see more research projects get up and running,” said Ms Chapman. “This was the first time EMF opened its Queensland Research Program to applications from a broad cross-section of emergency healthcare professionals,” she said. “EMF received first-time applications from nurses, Queensland Ambulance paramedics and Retrievals Queensland clinicians, which was very exciting to see. The next EMF Queensland Research Program grant round opens for applications on 18 February 2019, with Jumpstart, Leading Edge and Project grants available. The EMF Queensland Program is fully funded by Queensland Health. Our Rural and Remote Program is funded through philanthropic donations.